This is the third and final book in the All Souls Trilogy. I sped through this book; it entertained me completely. One friend said she found it dark – well, yes, quite a few souls are killed to free up the new generation. One friend didn’t like the ending – I found it satisfying myself. What I most like about Harkness’ deep writing is her ability to make me laugh every once in a while. I still giggle now recalling Chapter 10 when the witches could not get Fleetwood Mac to stop playing everywhere. “I hate Rumours!” exclaims witch Sarah. I think it would behoove Harkness’ style if she found a way to insert just a tiny bit more humor. 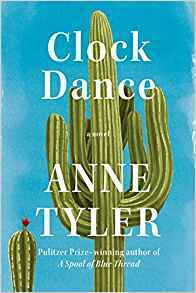 She goes deep into relationships; this book has a lot of action (my criticism of the second book, Shadow of Night, was the lack of action); and she builds a creative story line. If I smiled once or twice more, I feel it would relieve some of the tension of the conflicts. 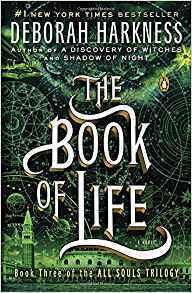 I definitely recommend The Book of Life, but start at the beginning with the first book, A Discovery of Witches. I think this is probably a pretty good book. 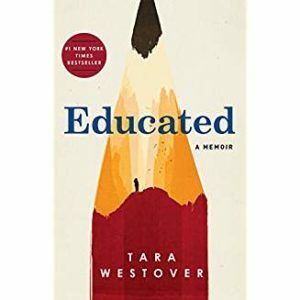 I was disadvantaged by reading Tip of the Iceberg on my tours of Cuyahoga and Shenandoah National Parks, because my reading opportunities tended to be short and often distracted. 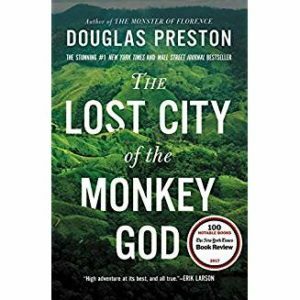 Every time I found a reasonable period of time to read, however, I grew enamored of this book. Mark Adams takes off in modern times (2016, 2017?) to retrace an 1899 voyage to the wilds of Alaska. Traveling 3000 miles, Adams makes the stops the earlier voyage made, and compares his journey to the journey of the Elder. The Elder was a steamship converted by the railroad magnate Edward R. Harriman to a “floating university” and was populated by some of America’s best scientists, biologists, archeologists, specialists in flora, fauna, geology, climate and the well-known glacier specialist, John Muir. Adams tells a story of the changes in the culture and economies of Alaska over the 100-plus years, but also the natural history, ecological shifts, and climate change. The contrasts are interesting. Sometimes, not much has changed; sometimes he sees a very different world. 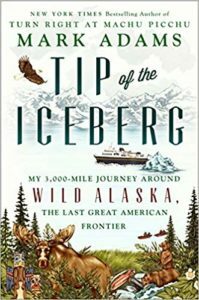 I particularly loved the chapter in which he and Teddy Roosevelt visit Alaska together, and he shows the President a few of the wonders of Alaska. Tip of the Iceberg will entice you, if you have any interest at all in this wild and remote wilderness state. By the way, some of mentioned you don't see replies to your posted reply. I always reply to your posts! Next time you make a comment, be sure you have the option checked to see all replies... that way, we can share our perspectives and knowledge!! 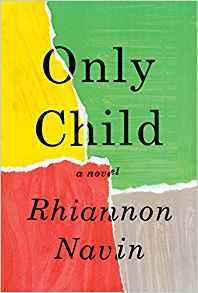 Writing Only Child took considerable courage, I believe. This is Navin’s first novel (she has two previous nonfiction books) and it is written from the perspective of Zach, a six-year-old first grader who survives a school shooting. Nineteen of Zach's fellow schoolmates and teachers die in the shooting, however, including one very close to Zach, so be is hardly unharmed. We learn about Zach's feelings, his assumptions, what (and how) he discovers about the shooting, the support he receives and doesn't receive from the adults in his life. Most compelling is how he works with his feelings. A self-proclaimed “very good artist,” Zach becomes overwhelmed with the complexity of feelings he has, and how unrelated feelings pile upon one another. He colors pieces of paper different hues to represent different emotions and, in this way, he is able to separate, manage and integrate his emotions. Well done! The entire novel is written in Zach's six-year-old voice. While that is interesting and draws the reader in, it also left me wanting. 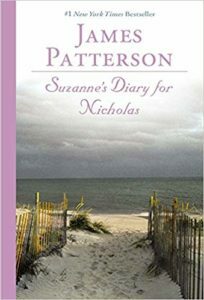 I wish the novel had interspersed Zach chapters with chapters by his father, who doesn't have a clue what Zach is experiencing; or his mother, who is more emotionally connected to Zach, but loses him in her obsessive search for justice; or Charlie, the father of the shooter. I would like to know what was in their emotional library and how and why they made some of the decisions they made. And I would have liked a break from the logic, words, and perspectives of a six-year-old. 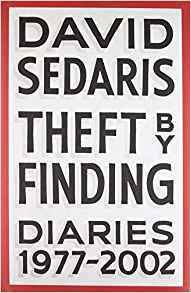 Voice fatigue aside, what I find at best disappointing and at worst unconscionable and irresponsible is that Navin apparently does no research for this novel. She doesn't talk with a single child survivor. She doesn't interview a crisis counselor. She doesn't speak with school administrators. She readily and proudly admits in interviews and on her website that her “focus group” comprises her own three young children. 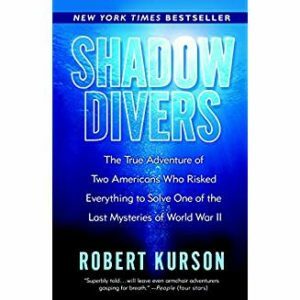 The story is an interesting and quick read. I was going to take it on a plane with me this Sunday, but I finished it already! The lack of research, however, makes me hesitant to believe I have read something that is based in truth, real information, or accurate perception and insight. 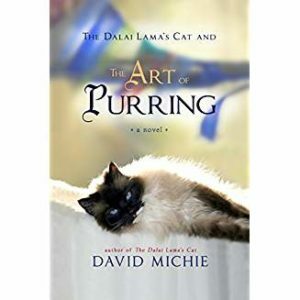 This is the second book in David Michie's trilogy about Buddhism through the eyes of the cat adopted by the Dali Lama. His Holiness’s Cat (HHC), aka Rinpoche, Little Sister, Snow Lion, Mousie Tung, Swami (a new name she acquires in this book), is delightful! Smart, articulate, able to read and understand human conversation, she allows us to see Buddhism through her innocent eyes. These short novels are really fun! The voice of HHC is pure delight. She knows it is impossible not to love her. She knows she is gorgeous. And she is the most intellectually curious and humble cat. The Art of Purring came to my shelf at a particularly good time. This book is about happiness; how to acquire it; how to stay with it; how to choose it; how to BE it, and, of course, its relationship to purring. I began reading The Art of Purring after returning from a delightful trip with my college roommate Janet and her husband Mark, to Isle Royale and Voyageurs National Parks. The trip was perfect, but upon my return I found myself thrust into a sad grieving funk with days of crying and loneliness. Michie’s book arrived in my life not only when I needed it, but also when I was quite motivated to read it. For this, I am grateful. This trilogy is quick, enjoyable, fun and enlightening! I heartily and highly recommend it Thank you, Julia!